Keep your hot beverages warm for longer in this festive red cozy. 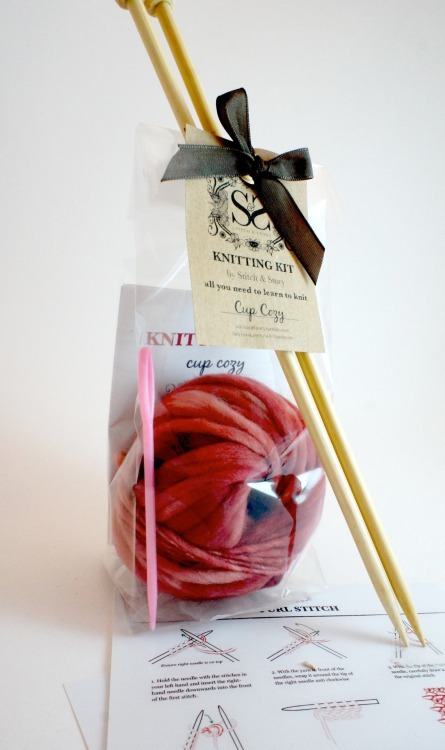 This knitting kit is the perfect starter kit for those who want to learn to knit. It comes with everything you need to complete a cup cozy. Instructions includes how to cast on, knit, purl, and cast off. Each kit includes: 25g yarn, 5.5mm bamboo knitting needles, 1 x threading needle, instructions, and pattern.